This recipe is quick and easy, and the flavors are oh so yummo! 1 1/2 cups gluten free rotini pasta. Boil 10 minutes, then serve. Delish! 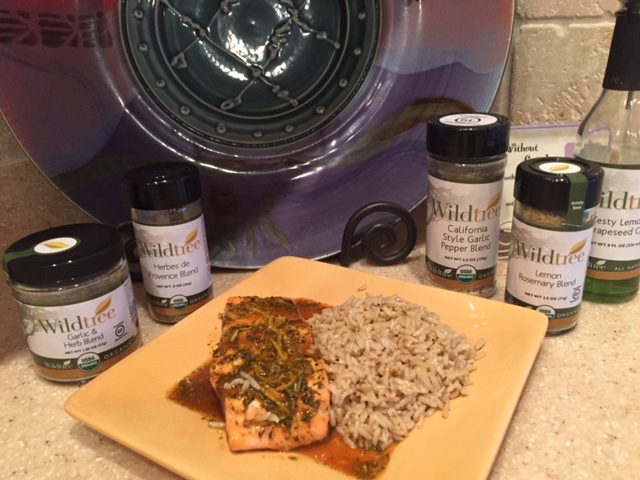 Combine all ingredients and brush over salmon, reserving 1 tablespoon of sauce to coat the salmon after cooking. Broil salmon for 10 minutes. Cook peas and rice according to package directions. Combine with remaining ingredients.